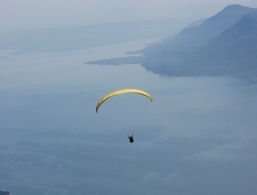 Paragliding at Lake Garda. Discover Lake Garda! 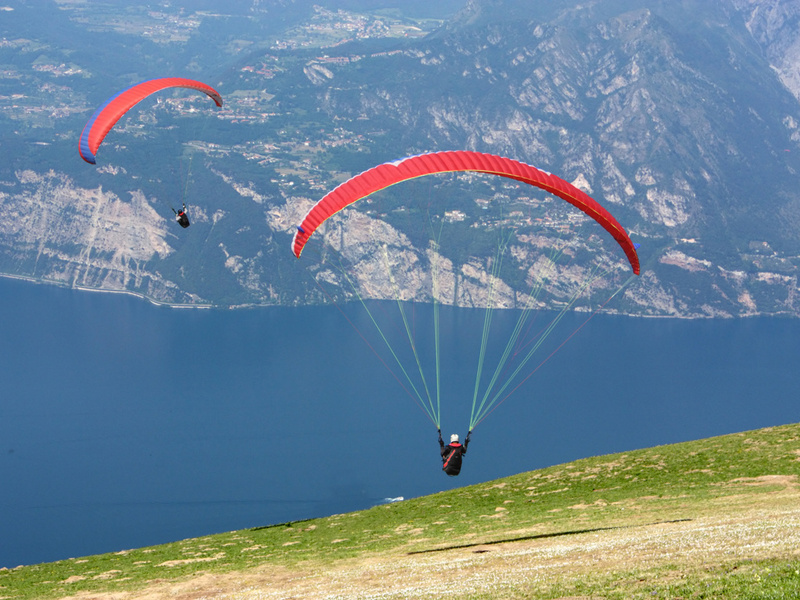 Lake Garda is known for its countless possibilities for water sports, but also, this fantastic holiday destination has a lot to offer in the sky: The area of Monte Baldo is a paradise for paragliders. The ideal training conditions, the good weather and the unique view make paragliding over Lake Garda an unforgettable event for professionals and beginners. The launch site at Monte Baldo is easily reached by cable car from Malcesine. The flight with a height of about 1800 m offers a change of perspective, accompanied by a beautiful view of the Lake Garda area. 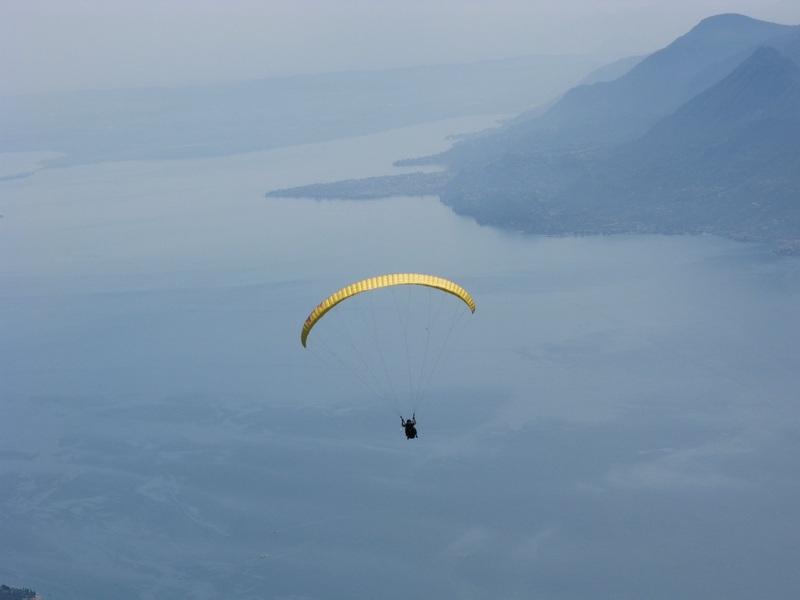 Those who want an extra dose of adrenaline and look for cool fresh air, should not miss paragliding at Lake Garda. Numerous passionate paragliders come every year especially to Lake Garda to fly with a paraglider over the wonderful landscape and to make use of the ideal conditions. Even beginners are enthusiastic about paragliding at Lake Garda. For a glide is an exciting highlight on an active holiday and a holiday memory that makes your stay at Lake Garda unforgettable. Those interested can book a tandem flight at one of the paragliding schools or even attend a course to get the paragliding certificate. For those who don't yet dare fly themselves, the numerous flights and landings of the professionals at Malcesine offer a show full of fun and excitement! The flight school FLYDIFFERENT offers tandem flights on Lake Garda together with the experienced tandem pilot Ruben.